Amohela ho Spitskop, a 420 acre privately owned Country Retreat & Conservancy (DTEEA/4/4/3/C4) is nestled in a valley between Ficksburg & Clocolan, in the scenically stunning Eastern Free State Highlands. We offer three stone-built self-catering cottages which blend & harmonise with the environment and are furnished to bring you into the heart of Africa. Each freestanding self-catering cottage has a large open plan living area with well equipped kitchen,charming lounge and dining area and plenty of space & light. French doors lead onto a covered deck with magnificent views of the Maluti Mountains. 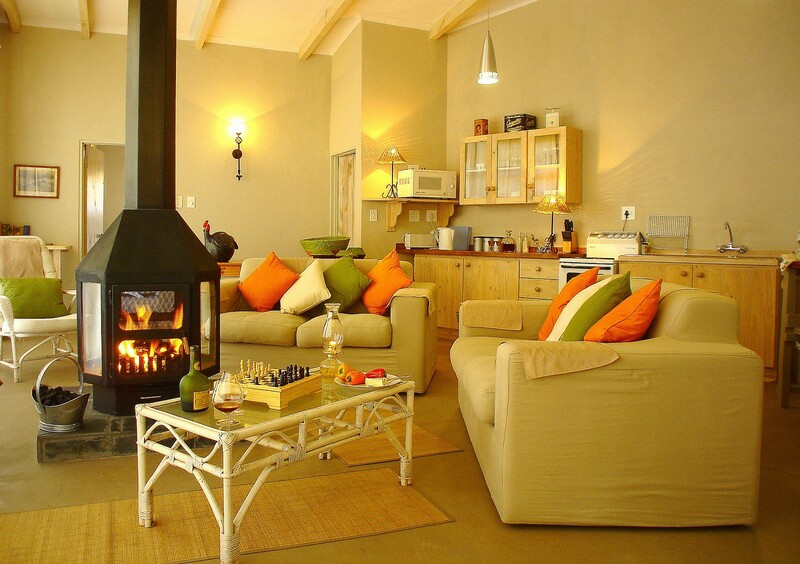 Bedrooms and bathrooms are heated: each cottage has a Weber braai & are serviced daily. B&B and DB&B also available. 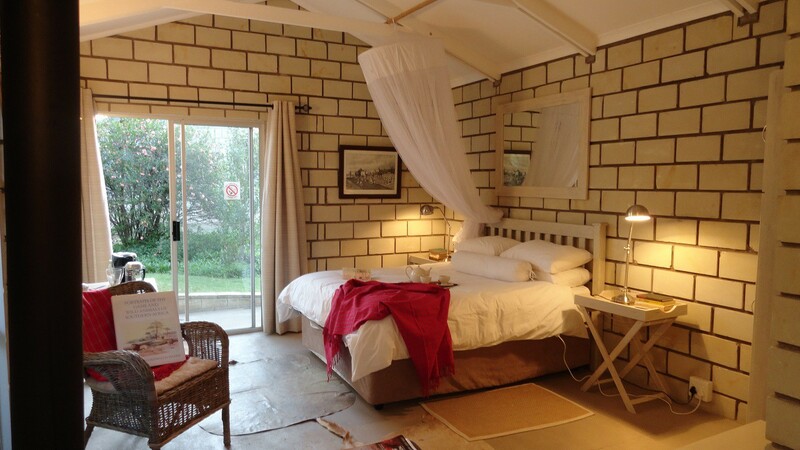 Catered accommodation is offered in two en-suite free standing sandstone bedrooms.Tucked away in the gardens the bedrooms are private & secluded, have beautiful percale linen, heated blankets ,combustion fire. Accommodation includes scrumptious breakfast & three course candle-lit dinner. 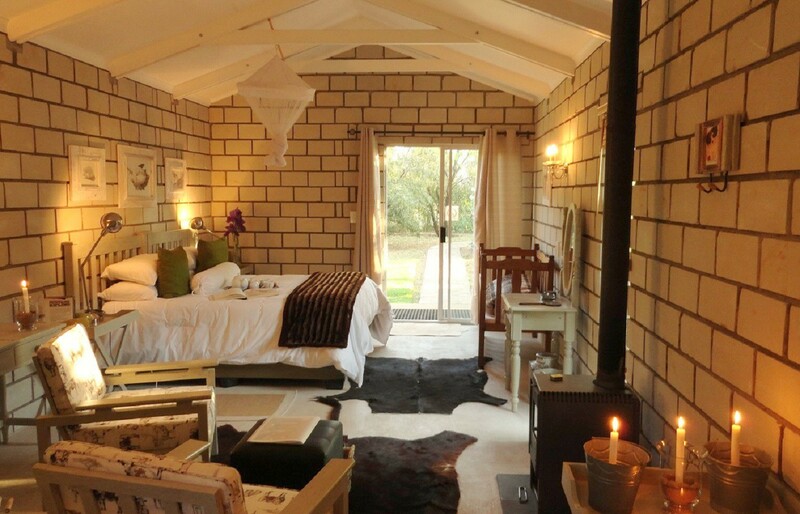 Situated in the scenically stunning Eastern Highlands of the Free State Province, South Africa, nestled in a valley between the small rural farming villages of Clocolan and Ficksburg, lies Amohela ho Spitskop Country Retreat & Conservancy. Sacred Tribal Grounds, San Bushman Rock Art, Crop Festivals, proximity to Lesotho with Afriski Resort, Katse Dam and incredible lumnescent light which artists and photographers find irresistable. The Retreat is some 3 & a half hours from Johannesburg and 2 hours from Bloemfontein and 1 hour from Bethlehem. Overlooking the majestic Maluti Mountains in the Mountain Kingdom in Lesotho, this is the ultimate getaway for the discerning guest.